It has been 6 excruciatingly long years since you moved on. I just wanted to tell you that I think about you every day, multiple times a day. I watch the Oscars, I think about you. I listen to a beautiful song (like when Veena just played me one on Youtube barely an hour ago), I think about you and how you would have enjoyed it. I even wonder if my expressions of enjoying something so beautiful are subconsciously mimicking you. I watch a fantastic scene in a movie, and I think about you. I read or listen to beautiful poetry or lyrics, I think about you. You will always be in my heart, my beloved beloved father. You never left, and you never will. 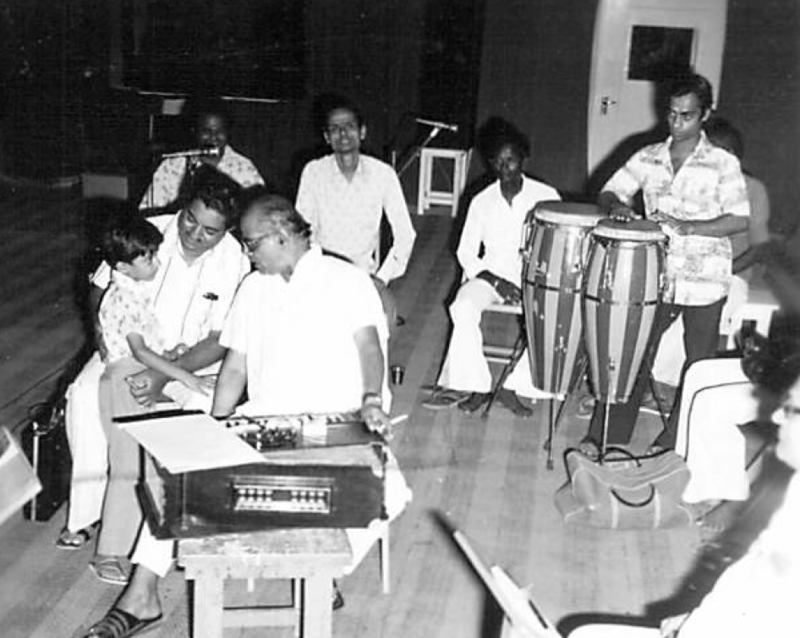 Hope you are having a great time with Amma, wherever you guys are. – Ravi, your one and only son. 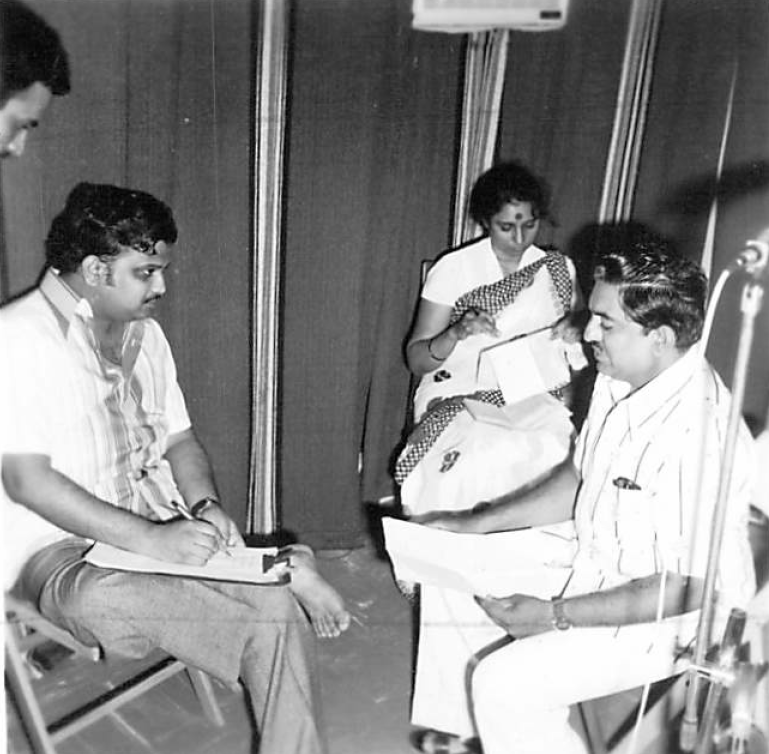 RNJ with two of the greatest singers in Indian films, S.P.Balasubrahmanyam and S.Janaki, who are getting ready to sing one of his legendary songs that he penned, taking notes and listening intently as he explains the situation, the emotions behind the song, the meaning behind the lyrics, so that they can do justice to the masterpiece that he created. 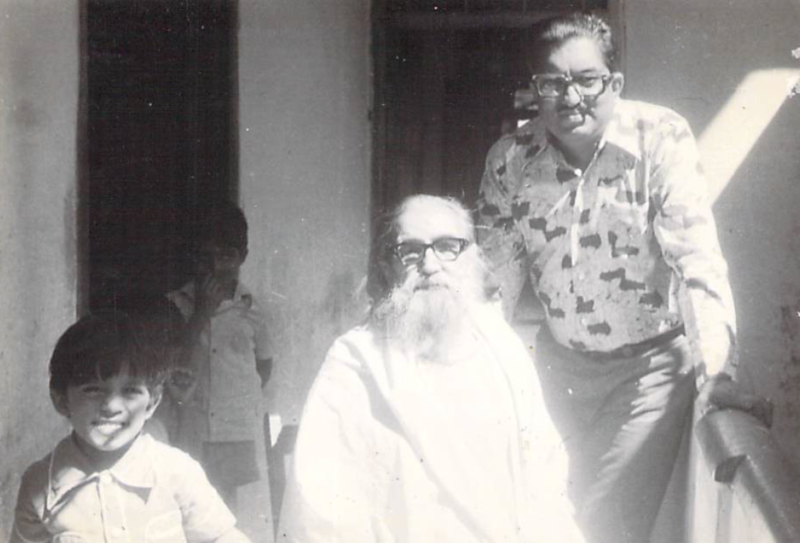 My Father Used To Say….